Robot Framework is a generic test automation framework which has an easy-to-use tabular test data syntax and it utilizes the keyword-driven testing approach. This means we can write our tests in readable and understandable text. 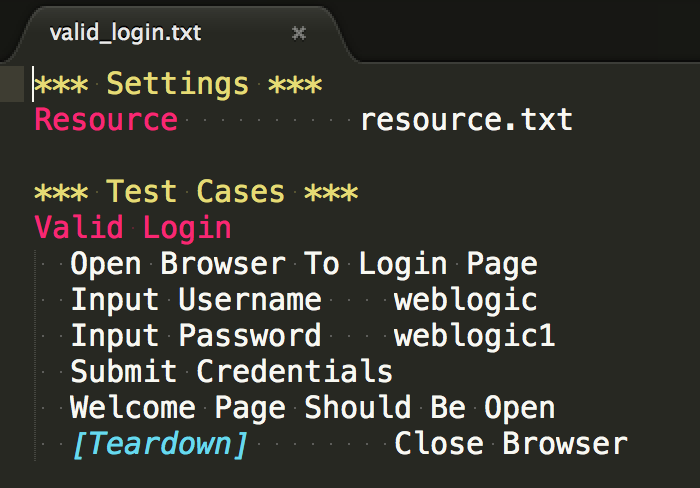 If we combine this with the REST Management interface of WebLogic 12.1.3 we are able to test every detail of a WebLogic domain configuration and when we combine this with selenium or other Robot plugins we can also test our Web Applications or REST/Web Services. So after all your provisioning and application deployments actions we can test our new environment in just a few minutes and Administrators or Testers can make or extend these tests without any developer knowledge. For this we need to enable the REST Management interface Weblogic 12.1.3 ( WebLogic Console -> Domain -> General -> Advanced -> Enable RESTful Management Services ) and install the robotframework-requests add-on. Click here for more information about the WebLogic REST management service and you can use Postman ( a Chrome plugin) to test your REST calls. Next we can add our tests & keywords in a subfolder. 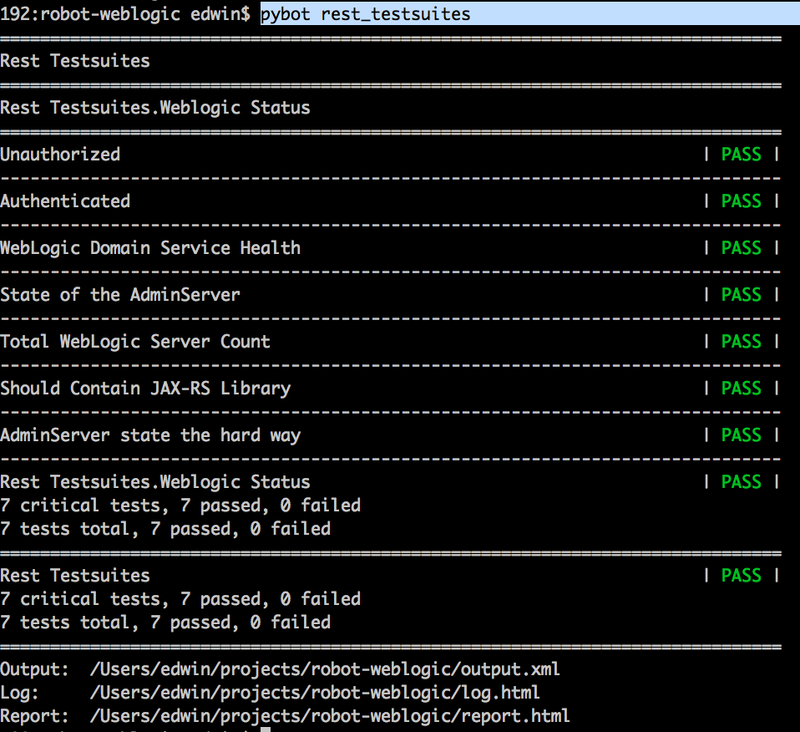 With the Selenium plugin (robotframework-selenium2library ) we can also test a web application deployed on a WebLogic server. 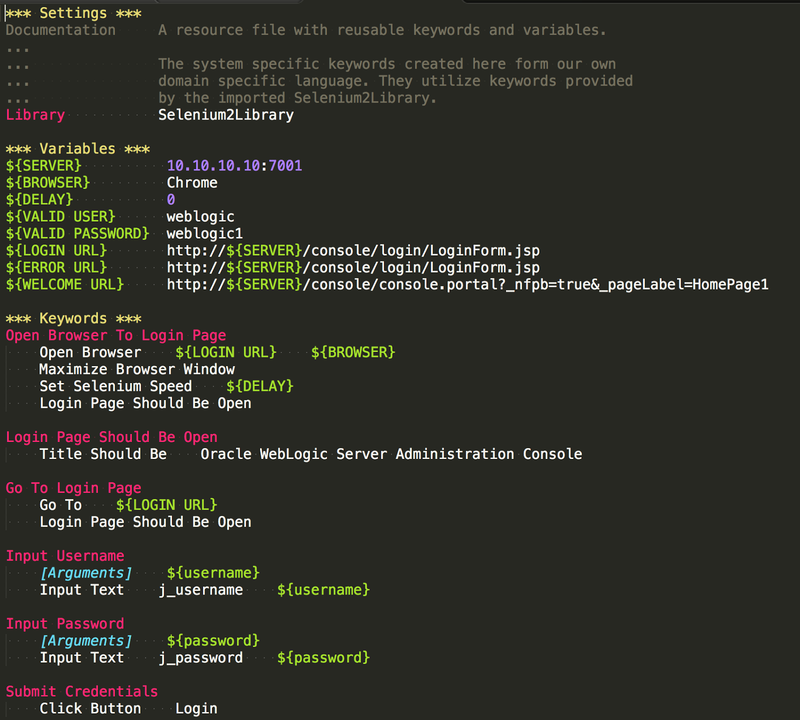 In this example I will use the WebLogic Console application to test the selenium plugin. The matching resource file with the keywords. 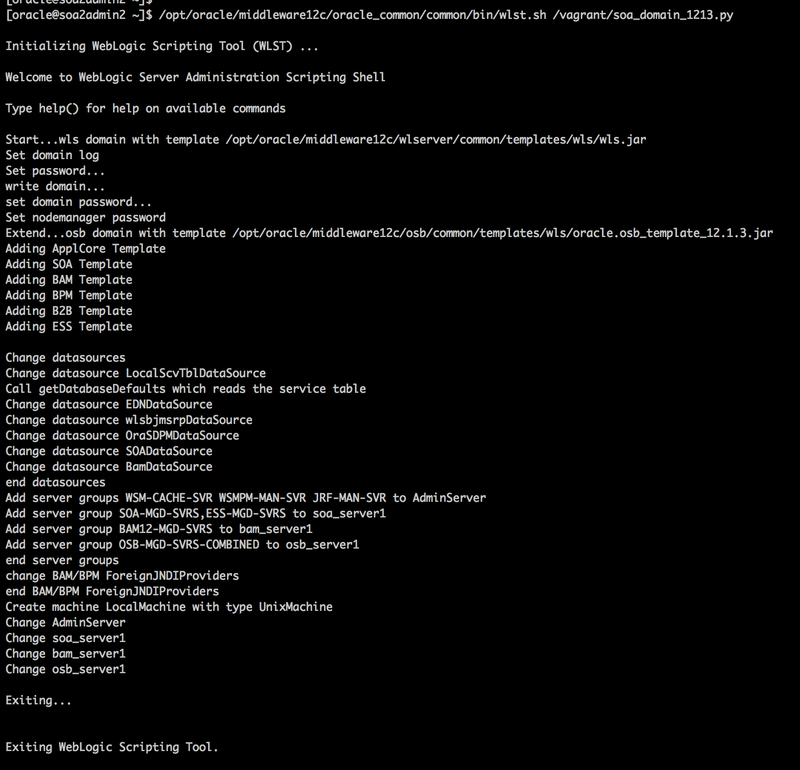 When you want to create a 12.1.3 SOA Suite, Service Bus Domain, you have to use the WebLogic config.sh utility. 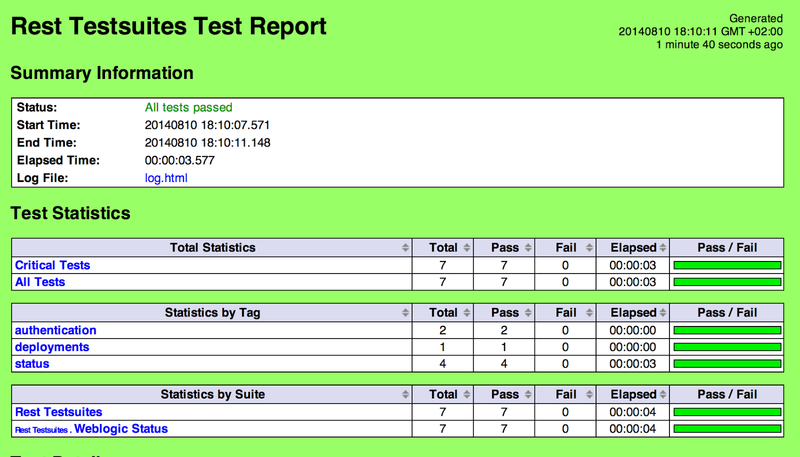 The 12.1.3 config utility is a big improvement when you compare this to WebLogic 11g. With this I can create some complex cluster configuration without any after configuration. But if you want to automate the domain creation and use it in your own (provisioning) tool/script then you can use the following scripts to create a normal SOA Suite, Service Bus domain together with BPM, BAM & the Enterprise scheduler options. Off course!!! use this script only for development, do some intensive testing on this domain and don't use this script in production or acceptance ( use the supported config.sh utility). 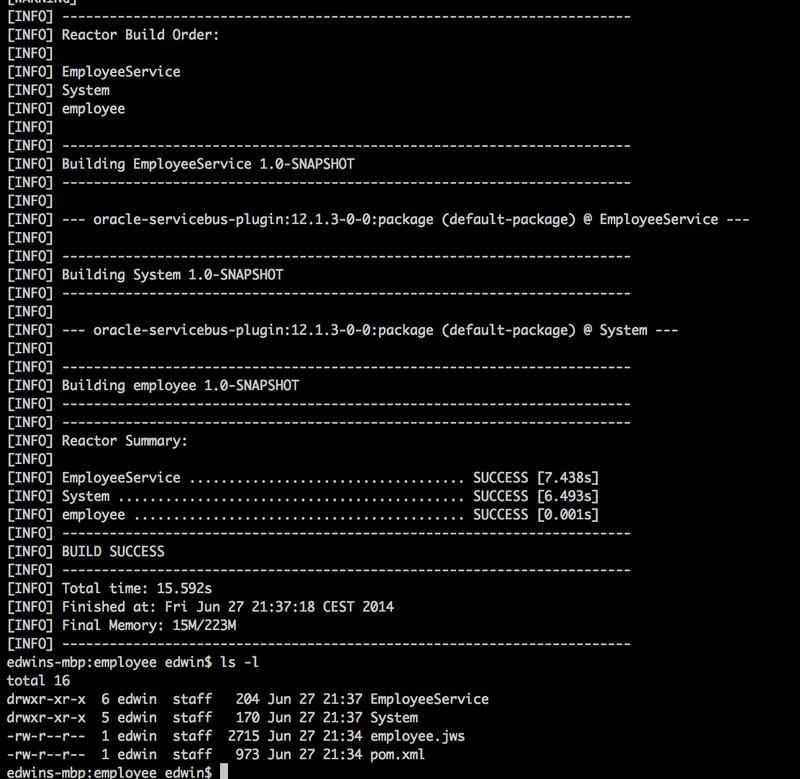 The second part of this blog we will create a cluster configuration with a WLST offline script. Before we can start we need to have a FMW database repository. You can use the RCU utility ( MDW_HOME/oracle_common/bin/rcu) to create one. Service Table Datasource together with the getDatabaseDefaults() function, no need to change all the datasources. It will re-use the RCU configuration data. Use this to start the creation of our domain. When you want to create a cluster configuration you can use the following script. 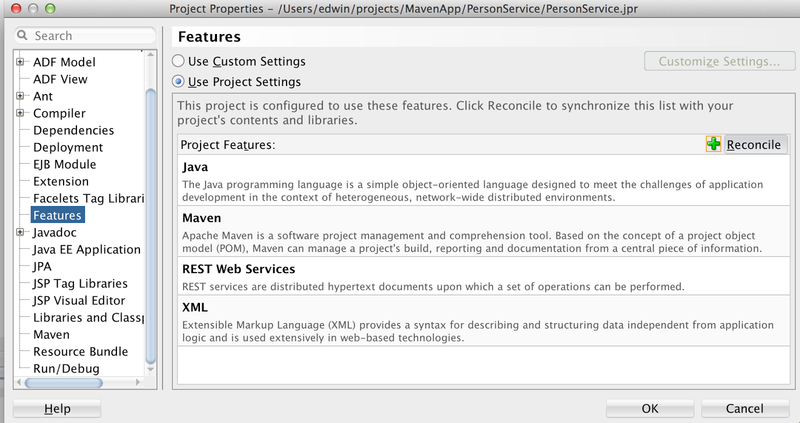 In this blogpost I will show you how easy it is to add some unit tests to your application when you use Maven together with the 12.1.3 Oracle software ( like WebLogic , JDeveloper or Eclipse OEPE). 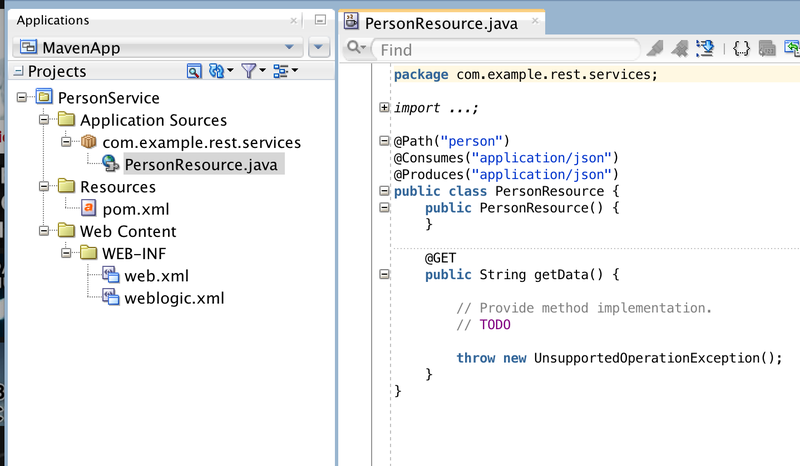 To demonstrate this, I will create a RESTful Person Service in JDeveloper 12.1.3 which will use the Maven project layout. 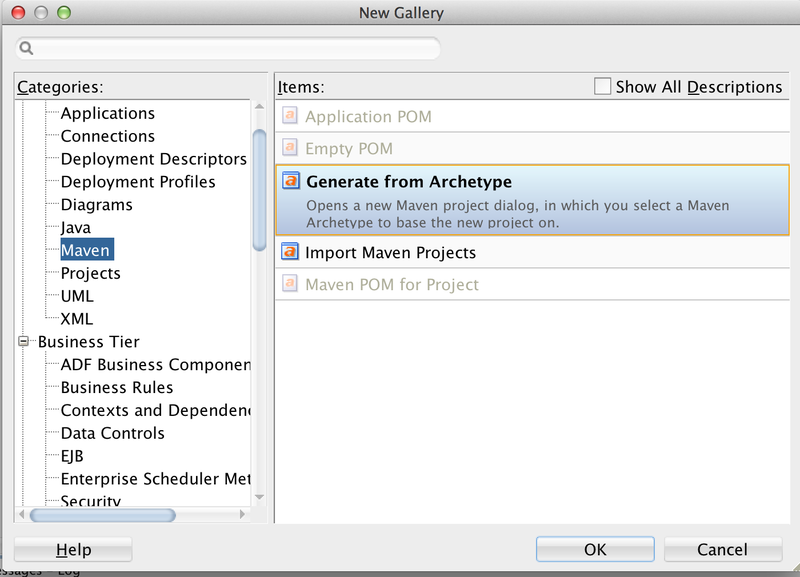 Create a Project and Application based on a Maven Archetype. In the Maven Test phase, we will test this Person Rest Service. Use JerseyTest and Mockito to test and mock the Person Rest Service. 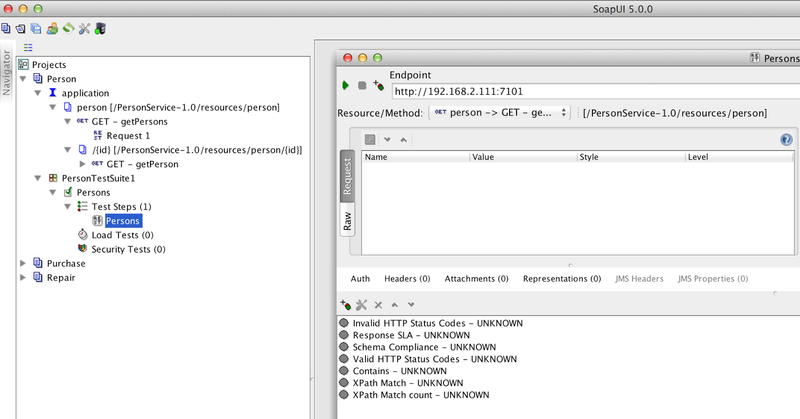 In the Maven Integration Test phase, we will test the Person Resource on a WebLogic domain and run some external soupUI tests. 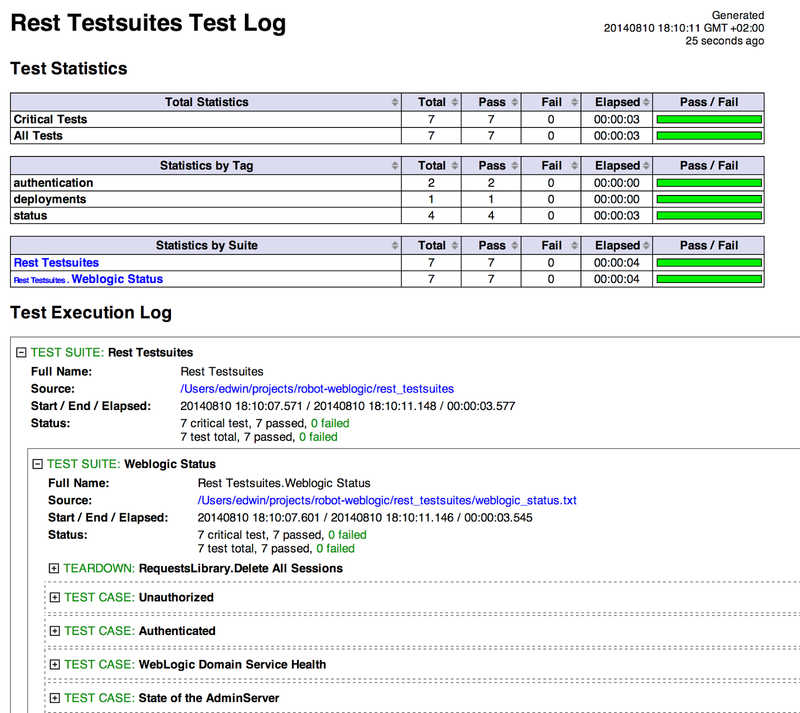 Run some soapUI test cases. 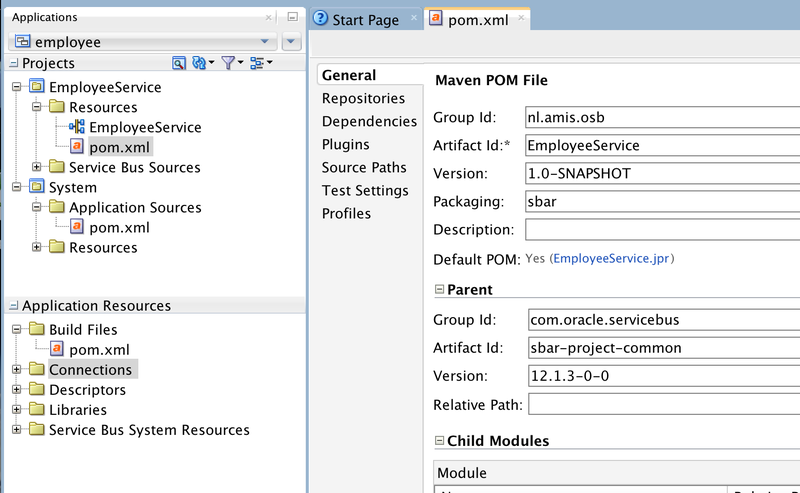 Before we can start, we need to use oracle-maven-sync-12.1.3.jar plugin to populate our local or maven repository with all the Oracle binaries. For more information how to do this you can take a look at one of the following links. 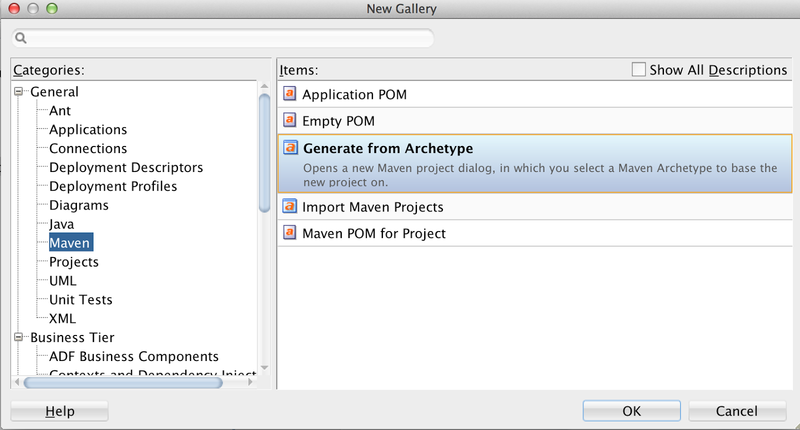 Go to the Maven tree and select Generate from Archetype. 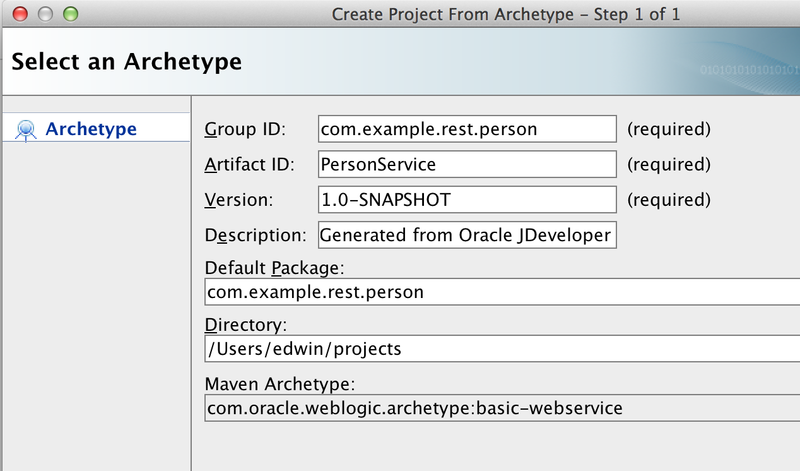 Provide the maven Group and Artifact id and lookup the basic-webservice Archetype. 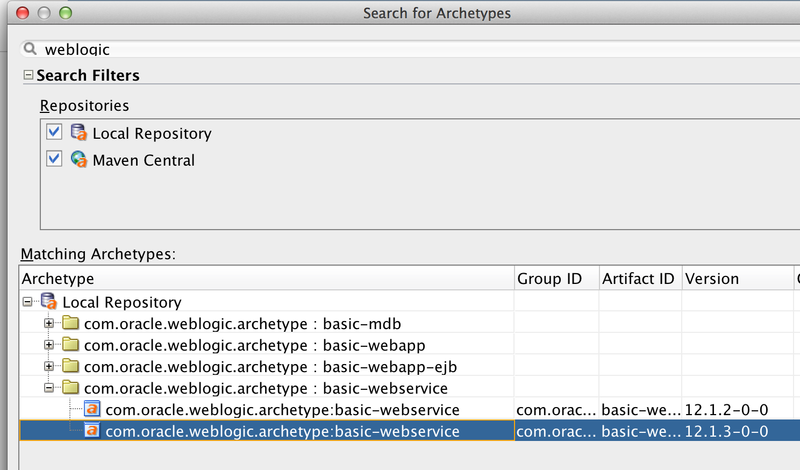 When you search for webLogic you will find the basic web service archetypes. Make sure you select the 12.1.3 one. This will create a Web Service Project but we also need to create an application. So the next step is the Application creation dialog. 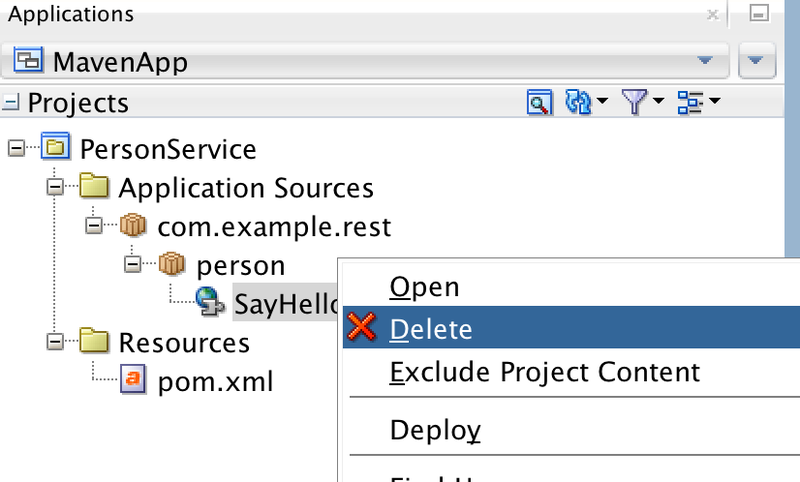 Because we want to use JAX-RS and not JAX-WS, so we need to delete the SayHello web service. Next step is adding the REST Web Service feature to this project. 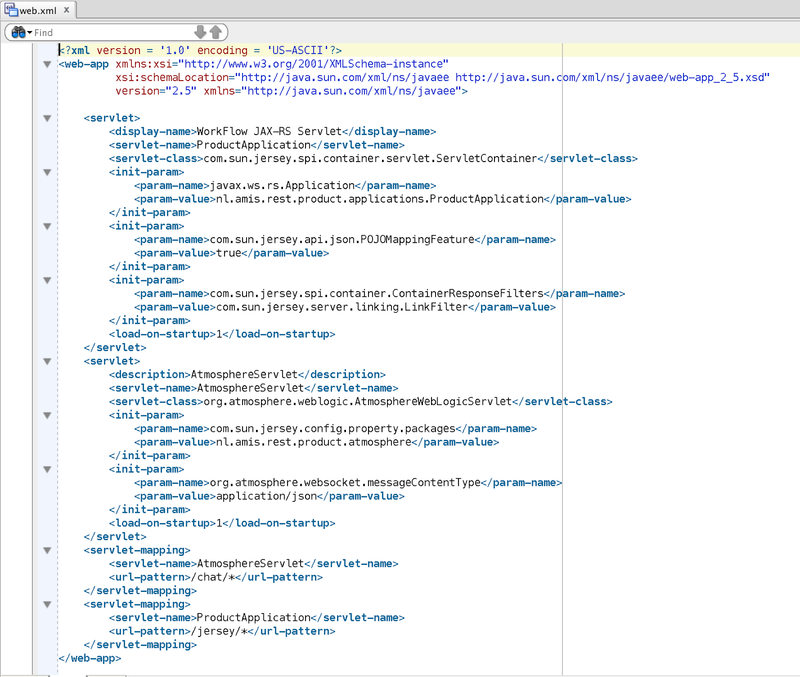 Provide all the REST service details and enable application/json as Media Types. And viola we got our Person RESTful Service. 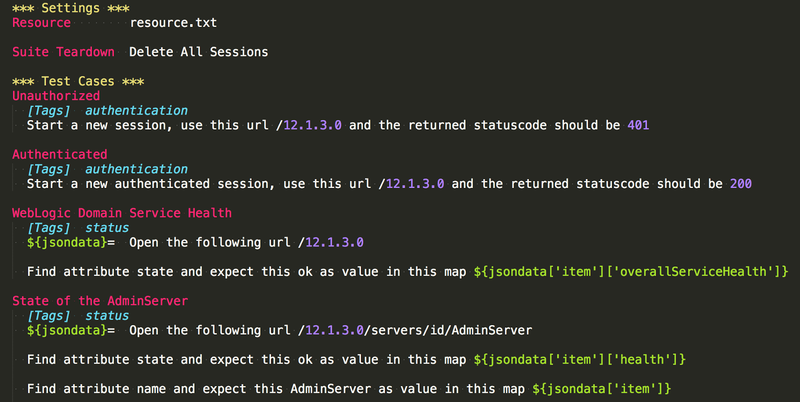 JDeveloper will automatically add the JAX-RS 2.0 shared library to your project. This finishes our basic service. This is how the final Person service will look like. 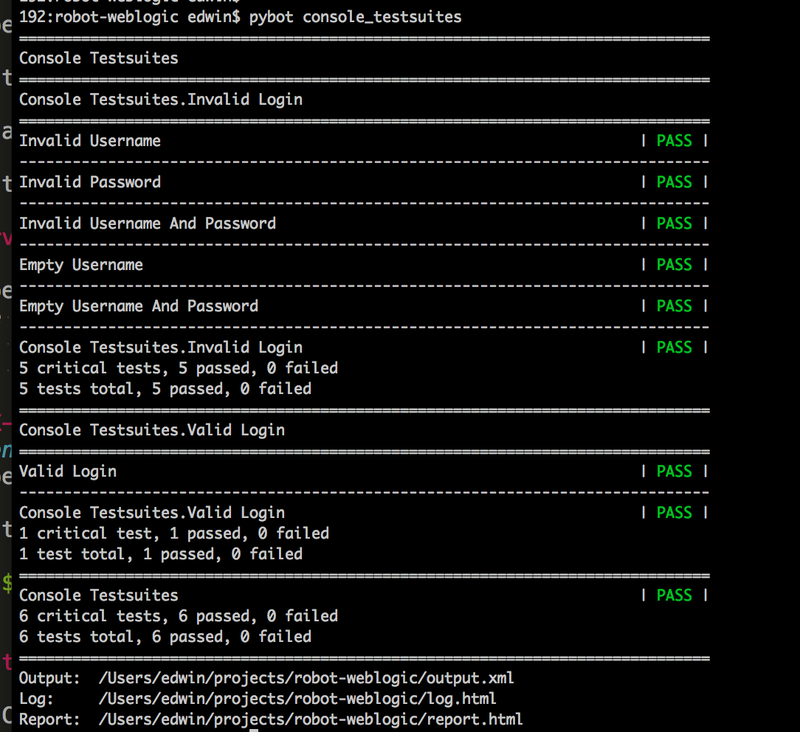 We can now add some unit tests to the Maven Test phase. We will make 2 JUnit test cases where we will use JerseyTest, so we can test the Person Resource and one with Mockito so we can also mock the data of the Person Resource. 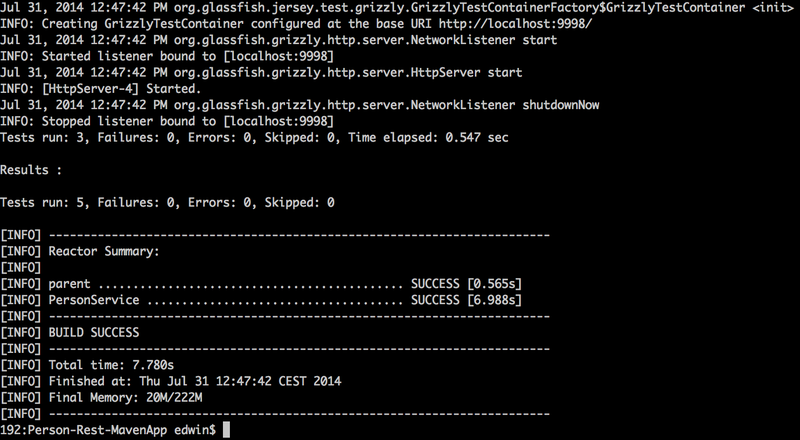 For these tests a lightweight grizzly2 HTTP container will be started by Maven. The pom's dependency libraries which we will need. And the JerseyTest with Mockito snippet. This is nice, but the next question is "Can we also run this Application on a WebLogic Container and do some external tests"
For this we can use the weblogic-maven-plugin in the integration-test Maven phase. The WebLogic plugin can create a new WebLogic Domain, Start the AdminServer, Deploy the JAX-RS 2 shared library, our Application and off course stop the AdminServer and remove the domain. 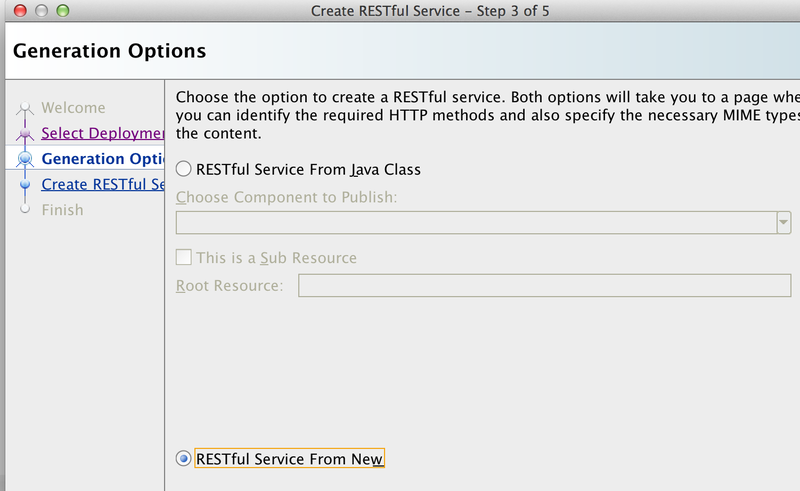 In SoapUI 5.0 I made a Testcase for this Person REST Service and add the soapUI project xml to our JDeveloper project. 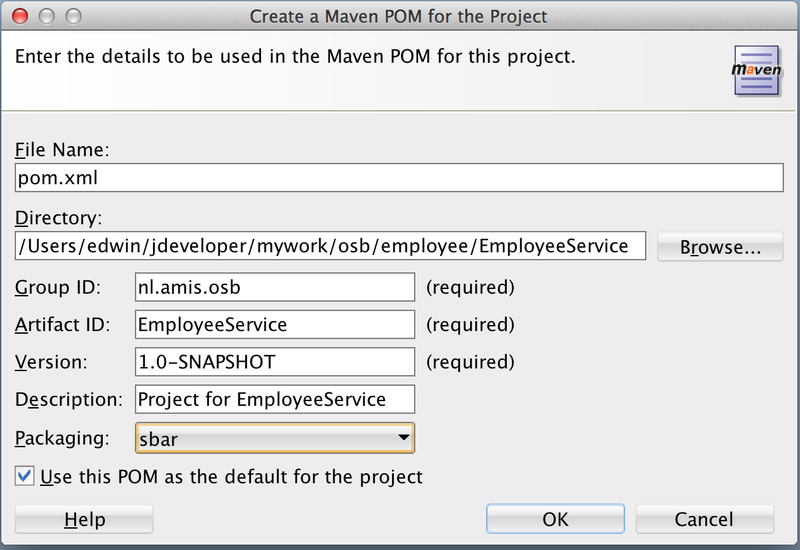 The Maven soapUI plugin , In my case I added the smartbear private repository to my own Nexus repository. 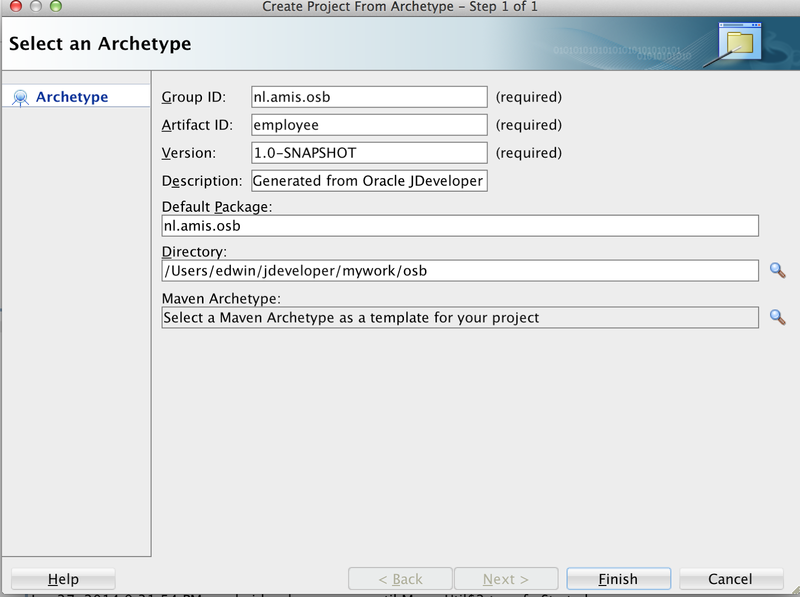 Create a new WebLogic domain ( inside the maven target folder ), deploy our application together with the shared library. 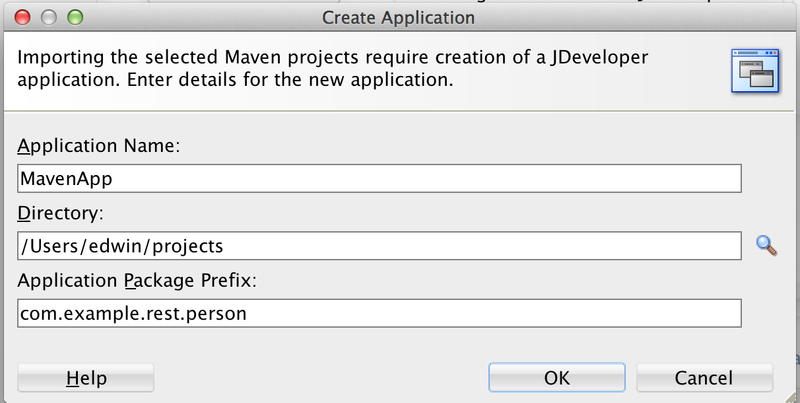 With the 12.1.3 release of Oracle Service Bus and Oracle SOA Suite we finally can build all our soa projects with Maven. And this time we can do it natively without calling a utility like configjar or ANT from Maven . 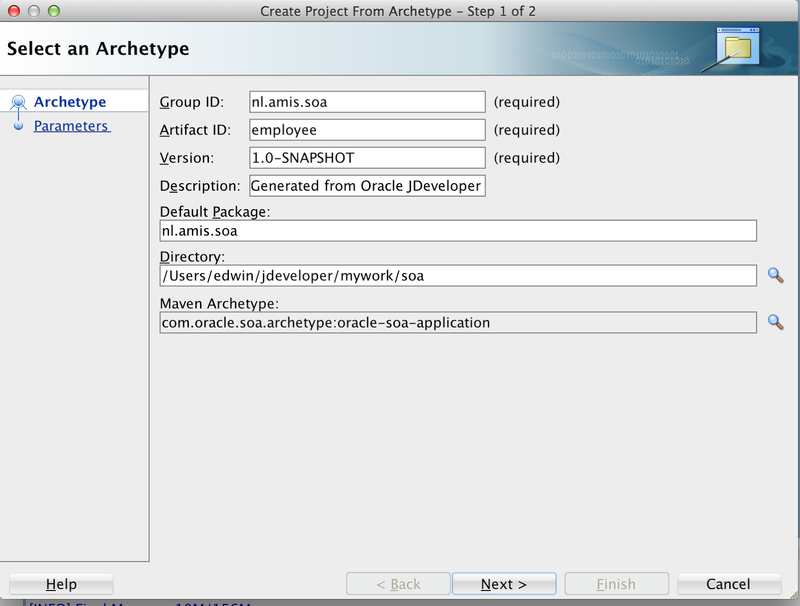 Description: Display help information on oracle-soa-plugin. Description: Packages the composite into a SAR. Description: To execute SCA Test Suites. 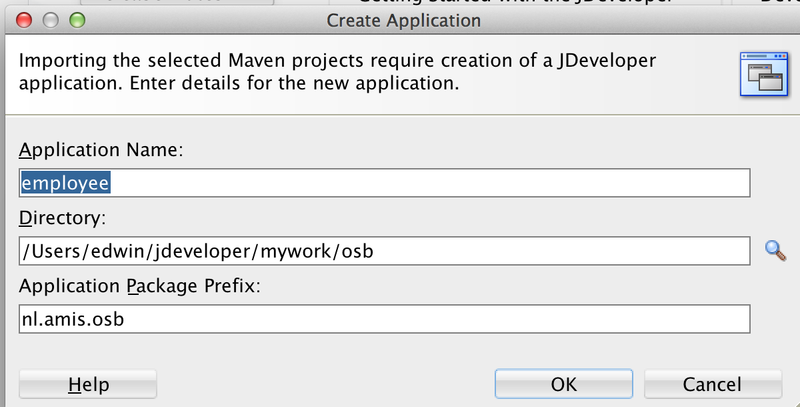 Now we are able to create a new Service Bus project from a Maven Archetype. Now we can build the Service Bus project from JDeveloper by selecting the pom and right click to start for example run the package phase. We can do the same for a SOA Suite application and a SOA Composite. 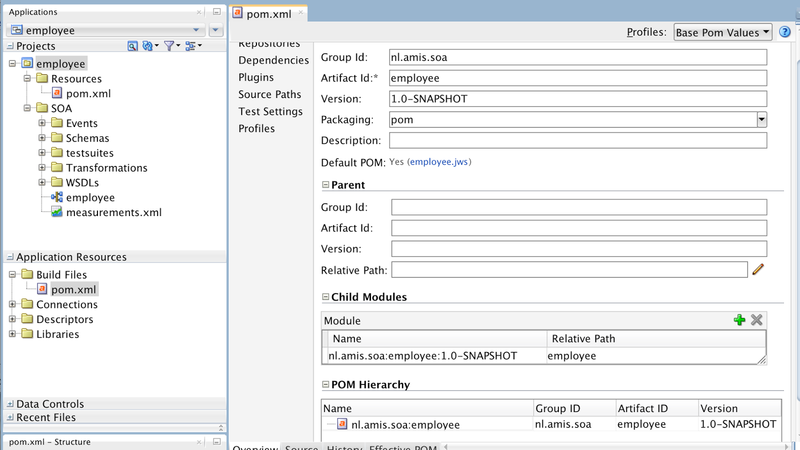 Now we got 2 poms ( 1 is at the workspace level ) and project packaging is now a sar. And we can also build the soa composite. 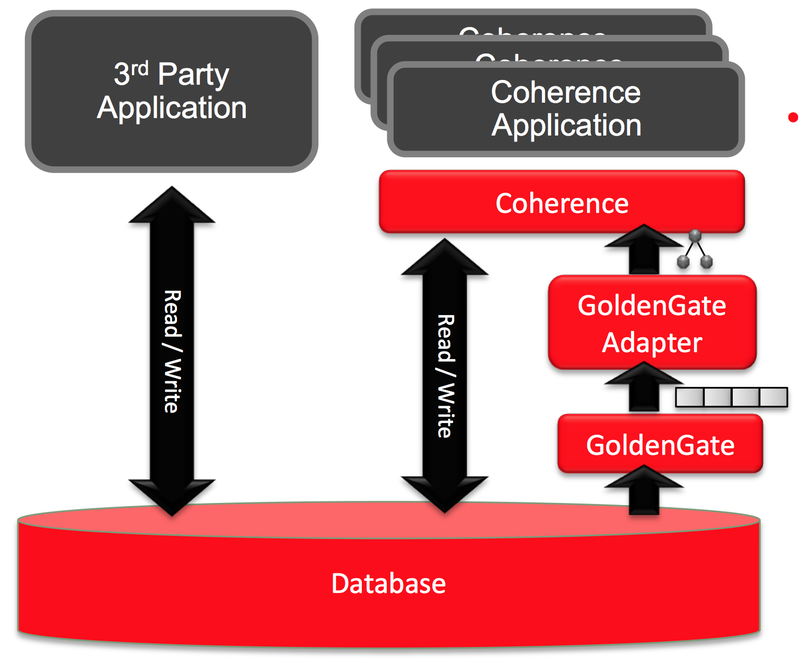 Coherence can really accelerate and improve your application because it's fast, high available, easy to setup and it's scalable. 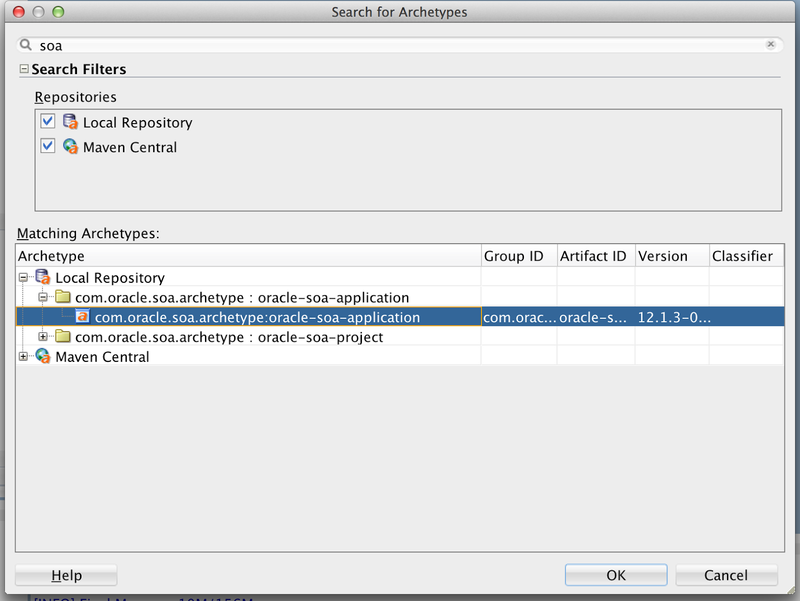 But when you even use it together with the JCache framework of Java 8 or the new Coherence Adapter in Oracle SOA Suite and OSB 12c it will even be more easier to use Coherence as your main HA Cache. 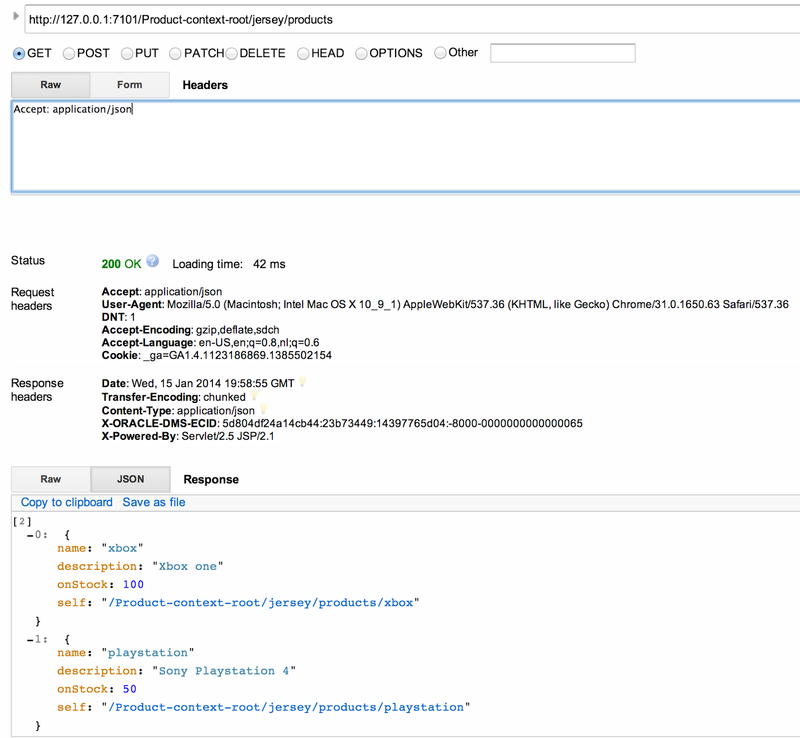 Before Coherence 12.1.2 when you want to use Coherence together with JPA for the database connectivity, you must make sure that there is no batch job or application doing modifications directly in the database. This will lead to an out of sync Coherence Cache. But with Coherence 12.1.2 together with GoldenGate you can capture these database changes and send updates to the Coherence Cache. This is called Coherence HotCache. Here you can see how it basically works. And how it works in GoldenGate. First GoldenGate will capture all the database changes and a datapump process will send the trails to a remote GoldenGate for Java client which will update the Coherence Cache. I also made Vagrant / VirtualBox environment which uses Puppet to create a WebLogic 12.1.2 cluster together with GoldenGate for Java 11.2.1 and also an Oracle 11.2.0.4 Database with GoldenGate 12.1.2. You only need to download your licensed software and start it up. In this example the Coherence HotCache uses the Oracle Database HR demo schema and I also made with OEPE 12.1.2 a Coherence JPA application which we will deploy to the Dynamic WebLogic 12.1.2 Coherence Cluster. First we need to have a working database with a WebLogic Cluster. After this you can configure GoldenGate 12.1.2 on the database server and GoldenGate Java Adapters version 11.2.1 ( V38714-01.zip downloaded from EDelivery ) on the WebLogic Admin Server machine. Next step is to configure GoldenGate on the database server. 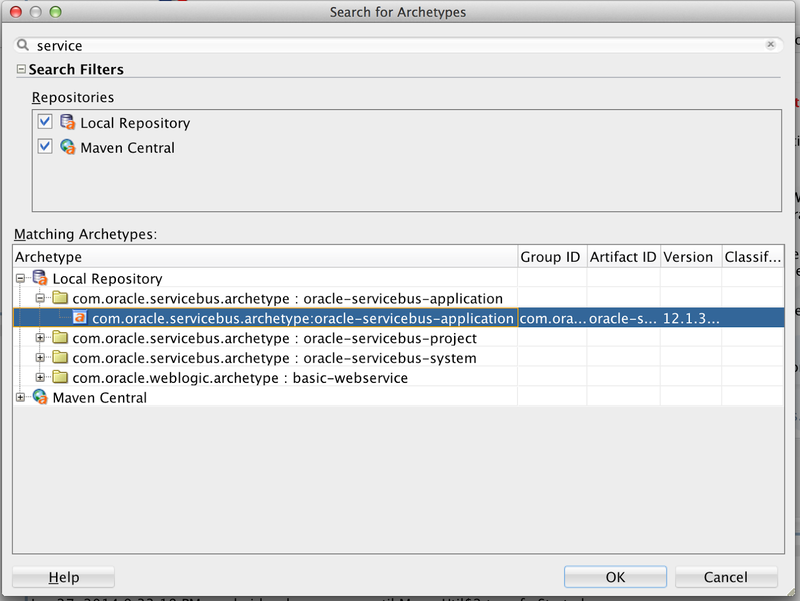 the ENABLE_GOLDENGATE_REPLICATION parameter is only for Oracle Database 11.2.0.4 or higher, this allows me to use ADD SCHEMATRANDATA in GoldenGate. Add GoldenGate repository tables and enable the capture of the DDL changes. When the WebLogic Dynamic Cluster is active we can deploy the HR Coherence demo application to the WebLogic Cluster and test if it works. In my case the cluster nodes are running on the following IP addresses 10.10.10.100 and 10.10.10.200 and I have a Employee and Department Cache which are connected with JPA to the employees and departments tables of the HR demo schema. 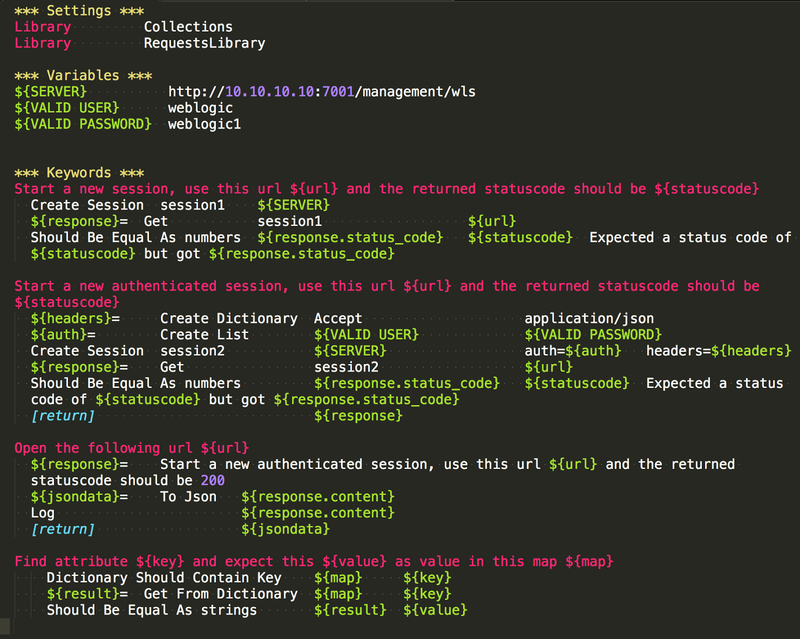 HrClient, The client test project which uses wls12_remote_cache.xml to connect to the coherence cluster nodes. 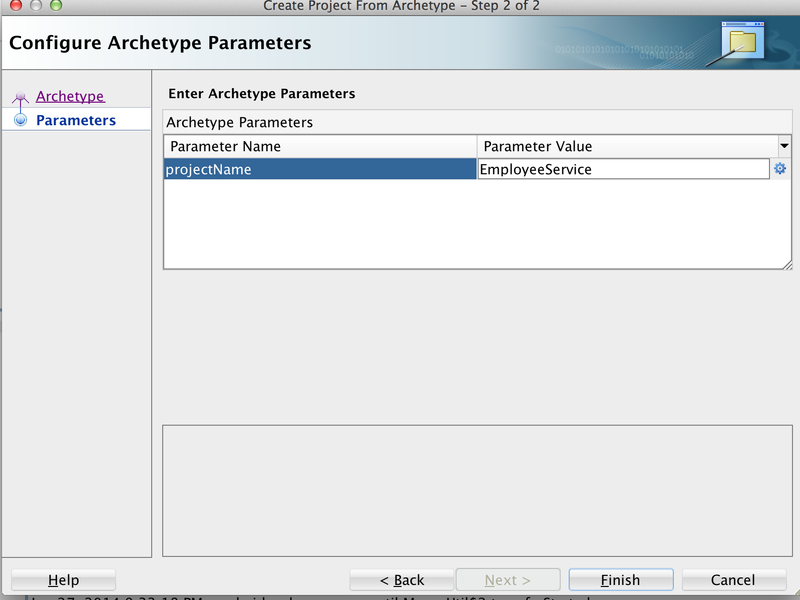 HrModel, JPA project with the entities and the HrModel persistence unit. HrHotCacheWeb, a dummy Web Application project. a Java class to retrieve department with 10 as id. Run the Department class with an Oracle Coherence run profile ( use this coherence client file as input) and test if it works. 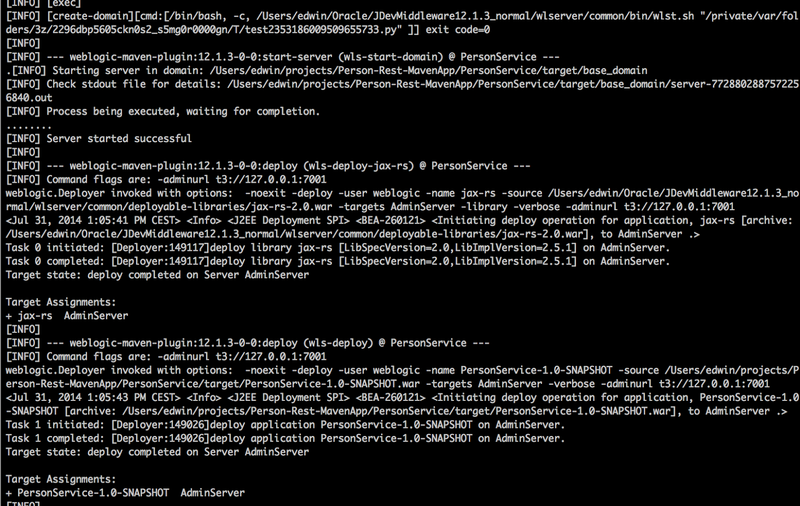 Next step is to configure GoldenGate 11.2.1 for Java on the WebLogic 12.1.2 AdminServer. 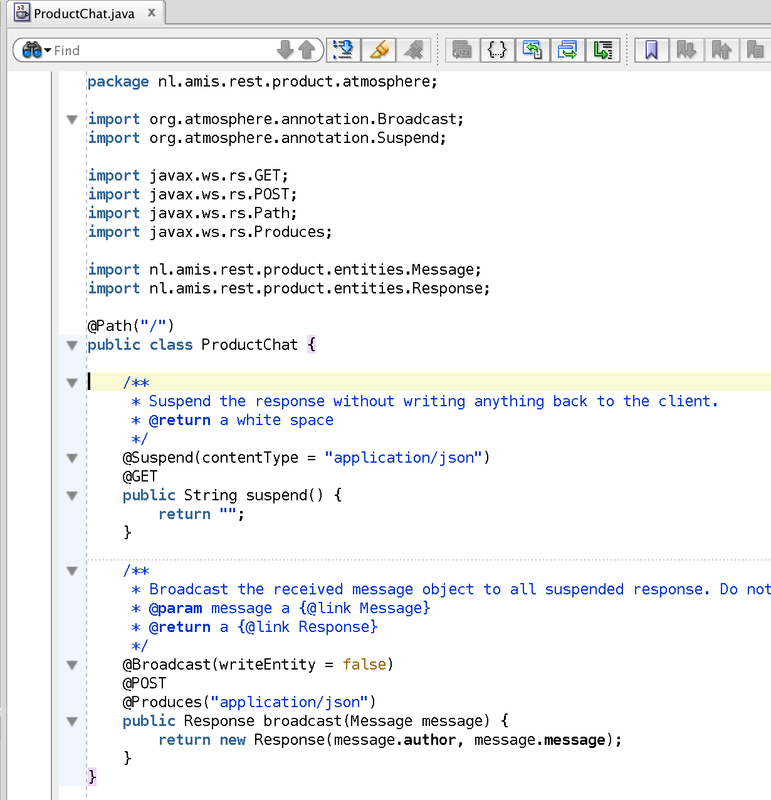 The jar which contains the entities and the persistence.xml is and this is an export of the Eclipse HrModel project. # List of active event handlers. Handlers not in the list are ignored. Next we can configure GoldenGate on the WebLogic AdminServer, this GoldenGate will receive the trail from the GoldenGate client located at the Database Server. We will start the Java delivery process after the database GoldenGate configuration. Add the extract and remove some old configuration or trails because I use an Oracle 11.2.0.4 Database and enabled the ENABLE_GOLDENGATE_REPLICATION init parameter so I can use ADD SCHEMATRANDATA hr. Use the Coherence Test client to retrieve department 10 again. Connect to the Oracle database and don't use the HR schema user ( very important, changes made by HR will be ignored cause coherence will also use this user to connect to the database). Update the department name of department 10. Wait a few seconds and use the Coherence Test client again to retrieve department 10 and look if the department name has changed. Next we go back to ./ggsci and add this JMS extract and this will watch the same audit trail. WebLogic 10.3.6 comes with Jersey1.9 and has no support for Server Side Events or WebSockets. But for one of our projects we are making a HTML5 / AngularJS application, which need to invoke some RESTful services and we also want to use of SSE or WebSockets. 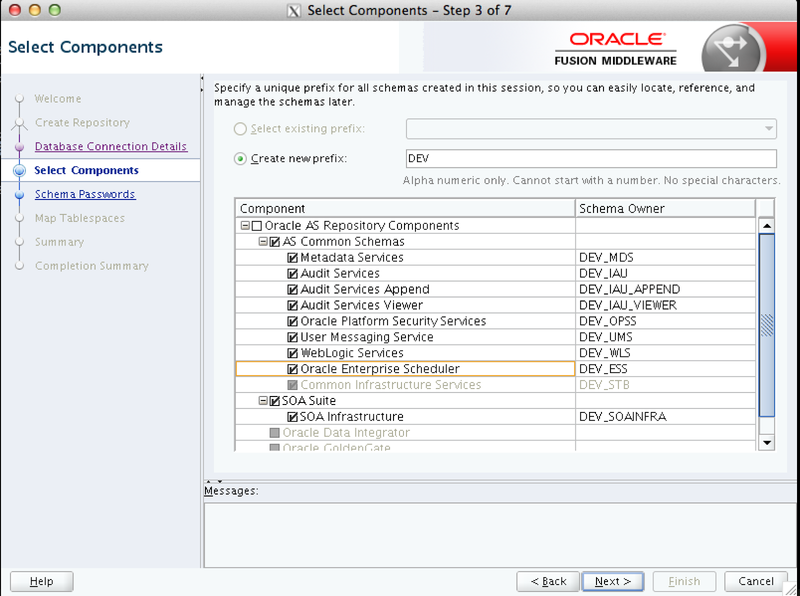 Off course we can use WebLogic 12.1.2 but we already have an OSB / SOA Suite WebLogic 10.3.6 environment. 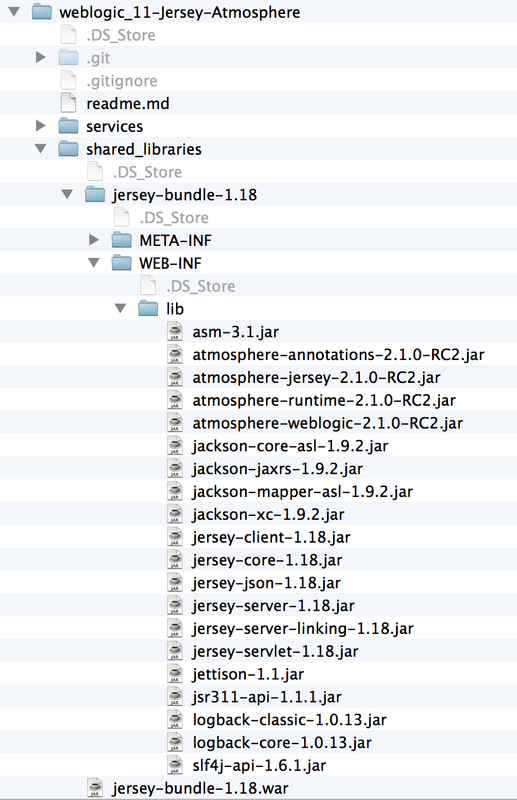 So when you want to pimp your WebLogic 11g server you can make a new shared library which has the latest version of Jersey (1.18), Jackson, Linking and the Atmosphere Jersey module ( for SSE & Websockets). 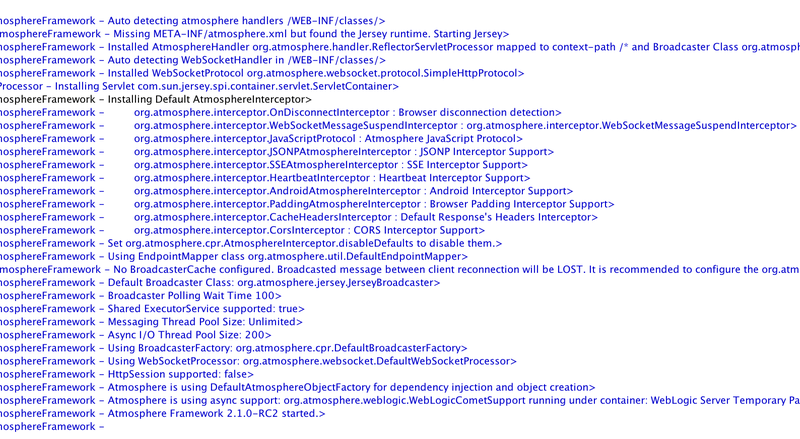 Atmosphere also comes with a WebLogic addon ( cause Servlet 3.0 is not supported on WebLogic 10.3.6 ). The Atmosphere framework also supports IE 6 or higher and when SSE or WebSockets is not supported by your browser, it automatically falls back to Long Polling. Here you can download the shared library and it comes with a working demo Rest Service and SSE chat application. Just deploy this war as a Library and target this to a managed server. 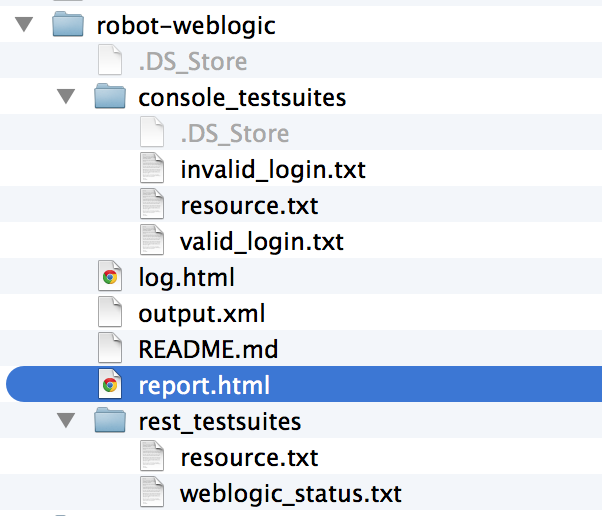 In a Web Application add the weblogic.xml deployment descriptor to the web-inf folder and add a reference to this shared library. 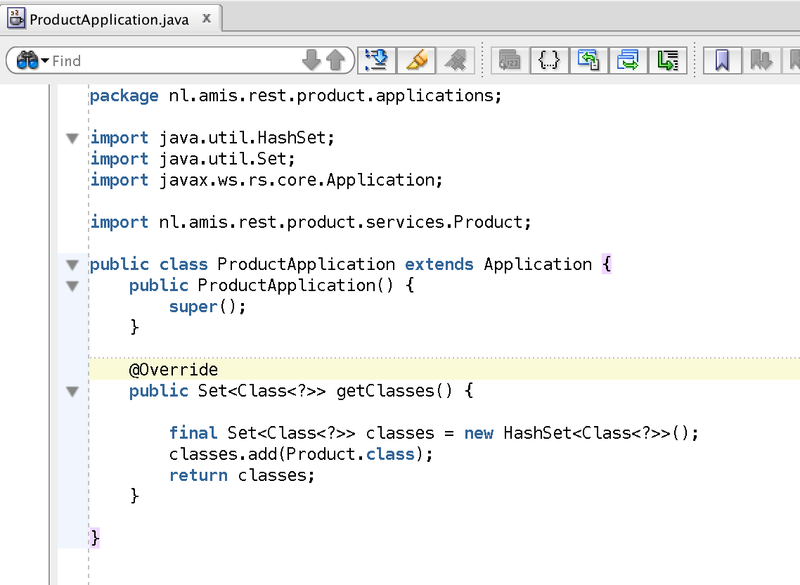 Next step is to create a Rest Application which contains references to your jersey classes. And for example a Jersey Atmosphere SSE chat service. or Test Server Side Events .